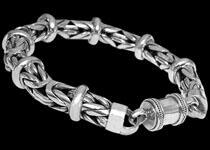 Buy our handcrafted men's sterling silver bracelets online. 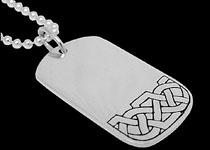 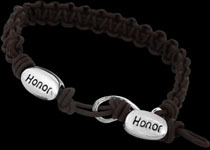 Our .925 Sterling Silver bracelets exude masculinity. 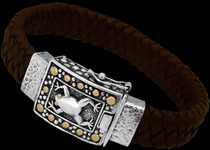 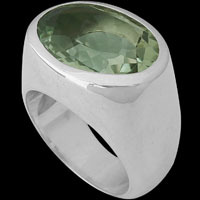 These sterling silver bracelets embody quality and workmanship that is typical of Just 4 Men silver jewelry. 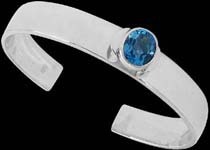 We have an extensive selection of sterling silver bracelets, leather and sterling silver bracelets, sterling silver cuffs, which cater to a variety of different tastes. 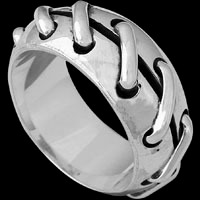 Our men's sterling silver bracelets are unique enough to be worn on their own or accessorized with our designer handcrafted men's sterling silver necklaces. 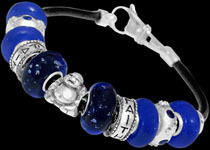 We have an extensive selection of silver bracelets, and with such a selection of silver bracelets there is bound to be one to please that special someone in your life. 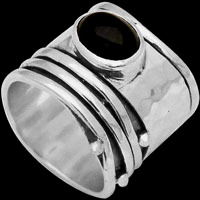 Peruse our men's silver bracelets, consisting of finely crafted Gemstone Cable Bracelets, Byzantine Link Bracelets, Tulang Naga Bracelets, Borobudur link Bracelets, Oval Link Chains, Sterling Silver Chains, Titanium Bracelets, Tungsten Bracelets and Stainless Steel Bracelets. 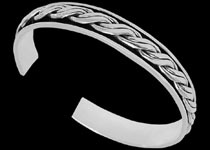 Our Silver Bracelets make perfect gifts for Graduation Day, Father's Day, Valentines Day, Birthday Gift or as a Groomsmen's gift for that special occasion you wish to commemorate. 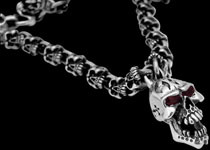 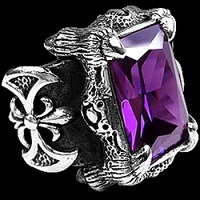 To convert the price of these silver bracelets to your local currency click here.